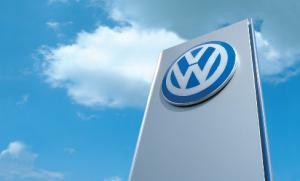 Volkswagen, a leading carmaker has entered into a joint partnership with cybersecurity experts. The new company will be solely aimed at automotive security. The company, Cyomotive will be led by three Israeli cybersecurity professionals. Yuval Diskin, Tsafrir Kats and Dr Tamir Bechor will “develop advanced cyber security solutions for next-generation connected cars and mobile services”. As the Internet of Things burgeons and technology plays an increasing role in cars, they also are open to hackers and cybercriminals. Wi-Fi and Bluetooth connections are open to attacks, and it is now no longer the case that carmakers can solely focus on the design and how fast they can make their vehicles go. Security is playing an ever important role. Last month, cybersecurity researchers found a way they could clone Volkswagen fobs.These clones allowed entry into the wireless entry systems resulting in the potential compromise of millions of Volkswagen cars sold from 2000 to 2016. The worrying component of this whitehat hack was the fact that the only thing attackers need to gain access is cheap off-the-shelf radio kits. In a statement, Yuval Duskin, former head of Israeli Security Services now acting chairman of Cymotive, said: “Together with Volkswagen we are building a top-notch team of cyber security experts. We are aware of the significant technological challenges that will face us in the next years in dealing with the cyber security threats facing the connected car and the development of the autonomous car." Currently, it is not known just how much money Volkswagen has invested in the new venture, but Cymotive will be located in both Herzliya and at Volkswagen’s headquarters in Wolfsburg, Germany.